Situated in Seeshaupt, this hotel is 0.1 mi (0.1 km) from Lake Starnberg and within 12 mi (20 km) of Buchheim Museum and Rose Island. Votivkapelle is 11.6 mi (18.7 km) away. Located in Starnberg District, this hotel is within 12 mi (20 km) of Ammersee, Lake Starnberg, and Kloster Andechs. Pasing Arcaden Shopping Mall and Westbad are also within 12 mi (20 km). Neugilching S-Bahn is 19 minutes by foot. 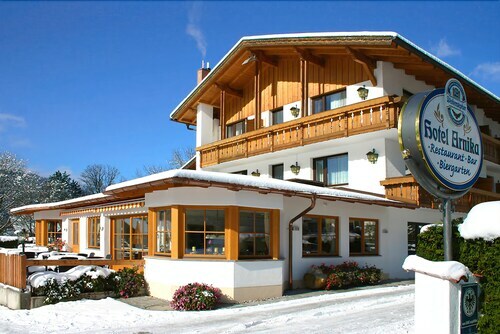 Located in München District, this hotel is within 12 mi (20 km) of Bavaria Filmstadt, Hellabrunn Zoo, and Golf Valley München. Nockherberg Paulaner Brewery is 12.1 mi (19.5 km) away. Sauerlach S-Bahn is only a 4-minute walk. This family-friendly Starnberg hotel is located in the business district, 0.3 mi (0.4 km) from Lake Starnberg, and within 6 mi (10 km) of Votivkapelle and Rose Island. Kloster Andechs and Ammersee are also within 16 mi (25 km). Starnberg Nord S-Bahn is 7 minutes by foot and Starnberg Station is 13 minutes. How Much is a Hotel Room in Seeshaupt? Hotels in Seeshaupt start at $69 per night. Prices and availability subject to change. Additional terms may apply. If you are roaming through Upper Bavarian Alps and Lakes and would like to spend some time in Seeshaupt, you would be wise to book as soon as you can through Travelocity so that you find the most appropriate place to base your trip. Seeshaupt lays claim to 2 hotels within 6 miles (10 kilometers) of its CBD. 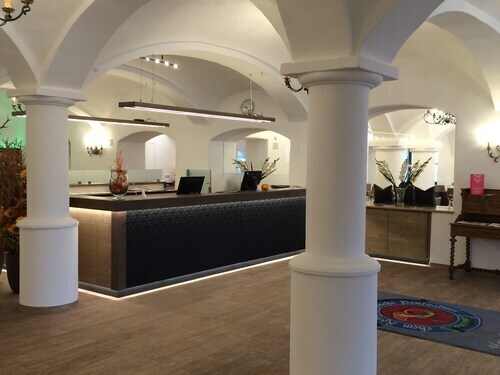 Check out some places to stay located within a 6 miles (10 kilometers) distance, such as the Schlossgut Oberambach Bio-Hotel und Vitalzentrum and Hotel am See. You could also try the Alpenhof Murnau or the Parkhotel am Soier See. The Alpenhof Murnau is located 11 miles (18 kilometers) away from the main part of Seeshaupt. 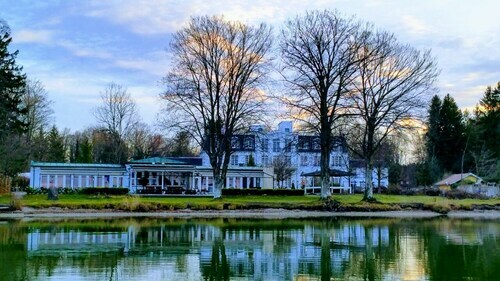 The Parkhotel am Soier See, can be found 15 miles (24 kilometers) away. Some other options around Seeshaupt are the Hotel Schillingshof along with the Hotel Vier Jahreszeiten Starnberg. Once you have spent time in Seeshaupt, be sure to look at Bavaria's other cultural and scenic delights. Photograph Bavaria's forests, rivers, streams and canals. You could also visit many of its castles and traditional villages. In this fascinating part of Germany adventurous visitors might also take up the chance to partake in snowboarding, skiing and cross-country skiing. Looking for activities? You could spend a few hours enjoying Garmisch-Partenkirchen Ski Resort and Partnach Gorge, which can be found in Garmisch-Partenkirchen, 25 miles (41 kilometers) south of Seeshaupt. A few Travelocity-listed Garmisch-Partenkirchen hotel options include the Hotel Zugspitze and Reindl's Partenkirchner Hof. For another option, stay in Zugspitze, 20 miles (32 kilometers) to the south of Seeshaupt, where you have the options of the Hotel Arnika and Landhotel Böld - Ringhotel Oberammergau. When you visit Zugspitze, set aside a little time to check out the Richard Strauss Institute and Werdenfels Museum. If you are passionate about sport and enjoy attending thrilling clashes you and your traveling partner could visit Allianz Arena, located 30 miles (51 kilometers) to the northeast of Seeshaupt. 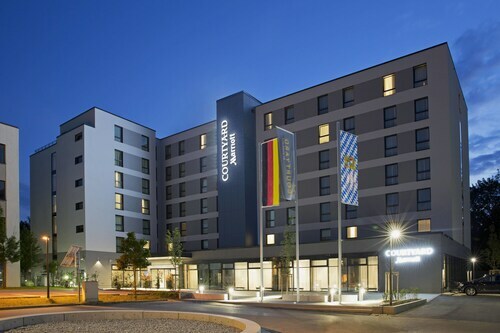 Modern travelers who enjoy the idea of locating a hotel close to the stadium, book in the Munich Marriott Hotel or The Rilano Hotel München. Kranebitten Airport can be found 40 miles (63 kilometers) from Seeshaupt's downtown precinct. Wise visitors who desire to find accommodation nearby can easily secure a night at the The Penz Hotel or the Hotel Seppl. Excellent family hotel in a beautiful setting. Great rooms, great breakfast, great location. Close to downtown, had beautiful views out of our room window. Room was clean and nicely furnished.